Day 10 – A lot done, a lot more to do! 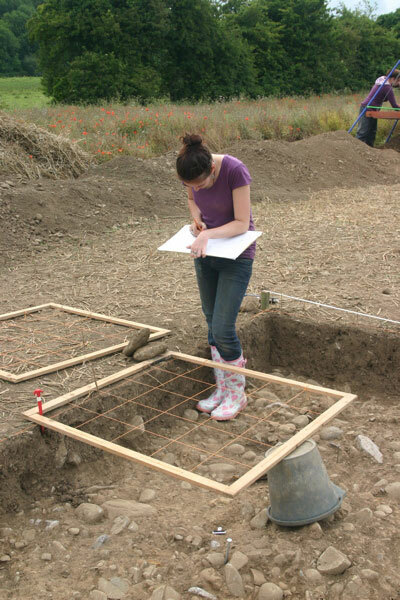 We’re now officially half way through the excavation and as the title suggests, we have achieved a lot so far and we hope that there will be much more to discover before the end. The weather forecast for today was not at all promising, with prolonged and heavy showers predicted. 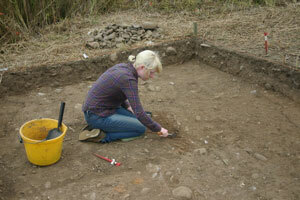 However, once again, we had an uninterrupted day on site although there were a few short showers in the afternoon. 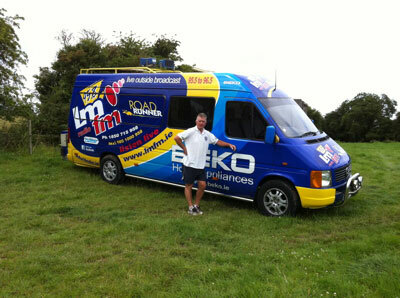 Pat and the LMFM outside broadcast unit. The big excitement of the day was the visit of the man from LMFM, Pat O’Shaughnessy with the station’s outside broadcast unit. Pat visited the site and interviewed the Director (myself!) which was broadcast live on the Daire Nelson Show. It is nice to get the support and have an opportunity to let people know a bit about what is going on on the site. Area 1 - spot the features! Good progress was made on the site today as well. Eimear went over to ‘The Far Side’ from where she was in Area 2 and really began to make inroads into understanding what is going on in Area 1. 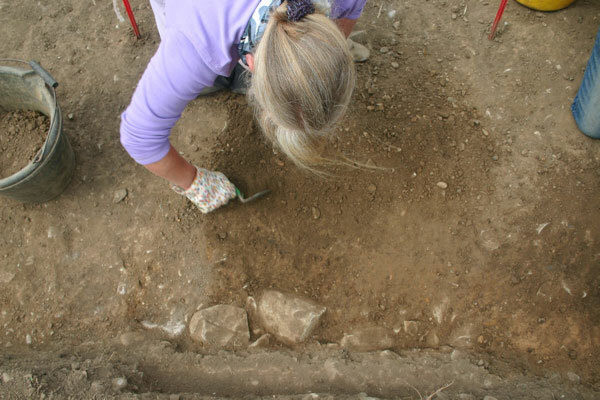 With her help, Lisa, Sophie and Mags completed the clean-back of the cutting and identified a number of possible features and, better still, were able to locate the edges of some of them. 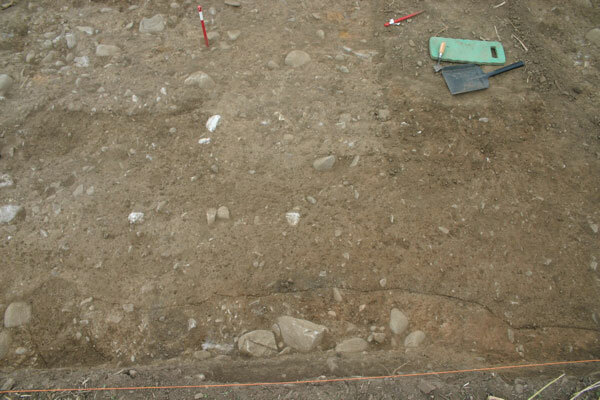 The next step is to photograph and plan the cutting before beginning to excavate. Lisa troweling in Area 1. 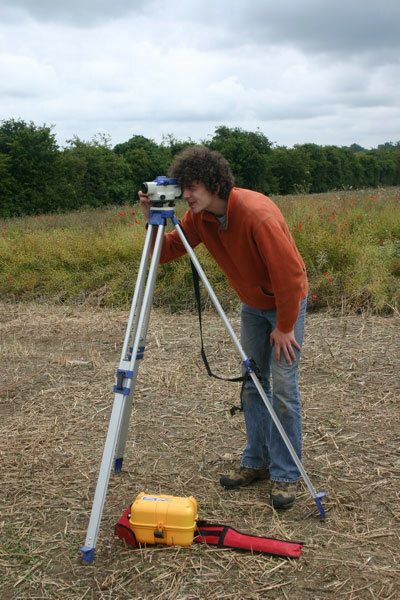 In Area 2 Matt continued to plan the cutting there and Tomás, Jamie and Sophie all had a go at planning with the planning frame. It is a tricky task when you are a beginner but all three picked up the idea quickly. They were feeling the effects of the ‘crouched over’ stance at the end of each of their turns, however. Once the plan was complete, the next step was to add levels and Tomás and Darren between them took on the task. When this was over, Matt and myself took a close look at the cleaned surface to identify where exactly we think there are features. No less than ten features were identified and these were numbered separately and added to the plan. 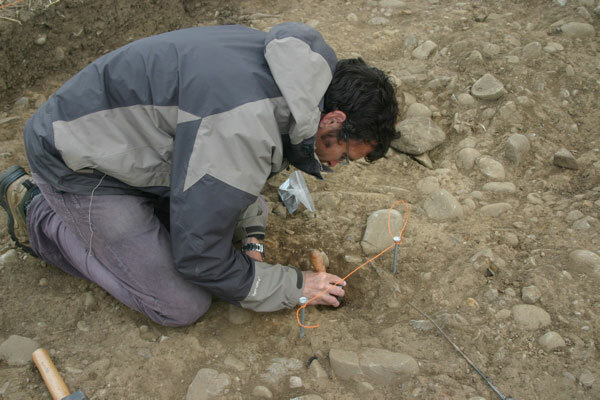 Matt then started to excavate one of them – the first ‘real’ archaeological feature to be excavated on the site. 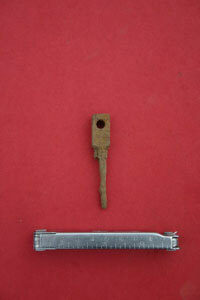 It turned out to be a stake-hole with evidence of the stake having rotted in situ. We have no idea when it dates from, unfortunately. Tomás, Darren, Jamie and Sophie worked away on the new cutting and made excellent progress. 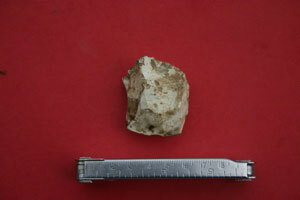 Apart from flint tools, they found a few strange finds in the sieve and some of them are shown here. 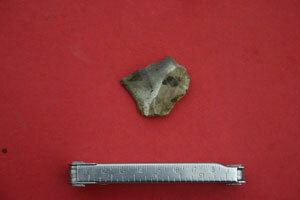 Area 1 burnt flint flake. 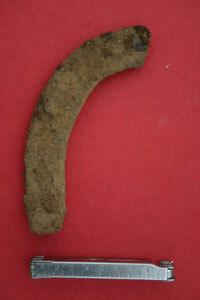 Area 1 Half a horseshoe! It was unfortunately the last day for Tomás and Jamie today and after we had packed up there were fond farewells before we all went our separate ways for the week-end. A big thank-you to them both for their unfailingly good-humoured work on-site. I hope they both found the experience interesting and worthwhile. This entry was posted on July 17, 2011 by Conor Brady. 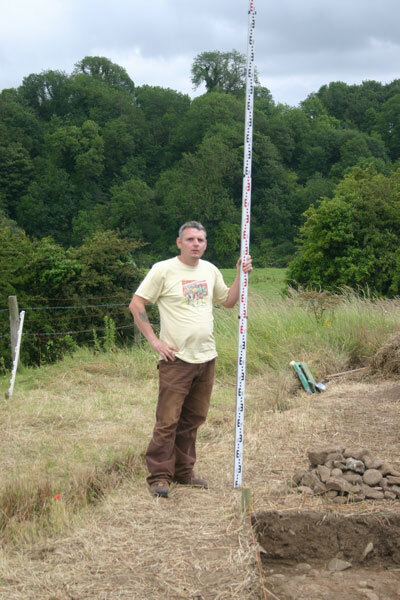 It was filed under Archaeology, Brú na Bóinne, Excavation, ireland, neolithic, River Boyne and was tagged with Archaeology, Brú na Bóinne, Excavation, flint, Ireland, Rossnaree archaeological dig.